Companies who want to sell products and services in foreign markets don't just need a multilingual website. Rather, it must be possible to quickly find the product in all languages using search engines such as Google, Bing, Yandex, Yahoo, Baidu, or other regional providers. In order to also make your content visible in the language of the target market, KERN Global Language Services provides search engine optimized translations. A team made up of specialist translators and online marketing experts develop multilingual solutions and concepts for new websites or individual online campaigns. At the same time, the team draws on KERN's extensive background knowledge about the respective target markets and the internet search tendencies of the target audience, which can be culturally determined. Only in this way will the website achieve a better position in the results list of search engines and therefore also a higher number of visitors. 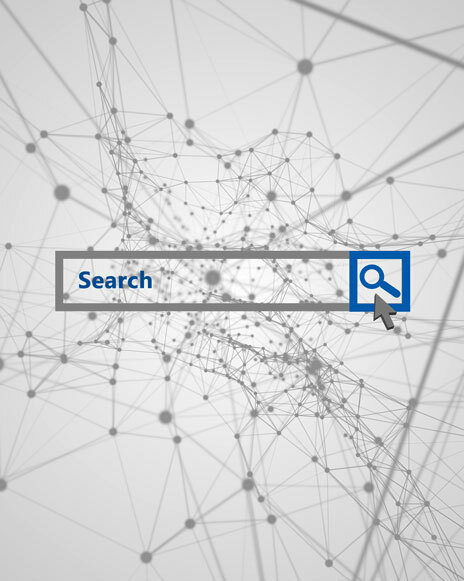 "In order for Google or another search engine to classify a website as relevant for the search term, the context must above all be correct, meaning the integration of keywords into the general context." Unique content: creating individual and reader-friendly translations. Search engine optimized (SEO) translationsMore than 50 percent of online buyers will only order from websites that are in their language! In this regard, the more valuable a product or service is, the greater the need to receive information in one’s own language. However, those who would like to sell products and services on foreign markets do not just need a multilingual website; in fact, the product or company description must also be found quickly in all languages on search engines such as Google, Baidu, Bing, Yandex, Yahoo or other regional providers. KERN's search engine optimized multilingual concepts are based on the most important factors employed by search engines to scan for content, and use these factors for the translation. Text composition and keyword density play a particularly important role, for example. The keywords are thus carefully chosen for each language and on the basis of a marketing concept. As a first step, the SEO (search engine optimization) specialists at KERN define useful keywords. When choosing these keywords, they always have the target audience of the website in mind: If users are interested in the products and services on offer, which particular terms do they search for on Google and other search engines? KERN translators specifically use the appropriately defined keywords in relevant text passages, such as in the heading. At the same time, the SEO specialists at KERN consider that the text should be designed and translated as simply and diversely as possible, favoring readability and understandable content. In coordination with the SEO experts, KERN translators avoid awkward and unnatural wording, even when the keywords could be placed in the text more frequently. Moreover, they use synonyms, variations, and paraphrasing for the chosen keyword and make sure they also apply a widely used term next to any technical terminology. The keyword density applies as a benchmark – it describes the frequency of the keyword in relation to the total number of words found in the text. The recommended density ranges from two percent to a maximum of four percent. If an online text clearly exceeds this value, it may lead to search engines classifying the content as "spam." As search engines classify exactly identical texts as "duplicate content," the SEO professionals at KERN advise the operators of a website to publish the unique text in every possible language ("unique content"). If texts are too similar or even identical for the most part, search engines may identify the content concerned as a copy, resulting in a lower search engine ranking. A SEO optimized multilingual website from KERN therefore provides visitors with the most suitable, authentic, and unique results possible – placing you at the top of the search engine rankings. Don't hesitate to get in touch – we will be happy to advise you.